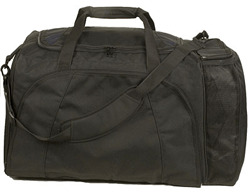 Large capacity heavy-duty personal football gear bag. 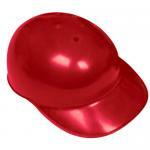 Made from super tuff PU lined 600 Denier polyester. Reinforced padded handles with velcro closure. Main compartment holds all your football equipment, shoulder pads,helmets, thigh and knee guards etc. 2 mesh bags, one for your helmet and one for laundry. Front panel is removable for screen-printing. Colors available: Black, Red and Royal. Dimensions: 28"L x 15"W x 15"H.
There are currently 97 remaining in stock.